The Quarryman’s Trail will extend from town (along Antigua St) through Spreydon, Somerfield and Hoon Hay towards Halswell. Already part of the southbound separated cycleway north of Brougham St is operational, and many sections like this two-way bit along Sparks Rd shown here can be tentatively used (when there’s not parked cars or construction gear blocking it…). 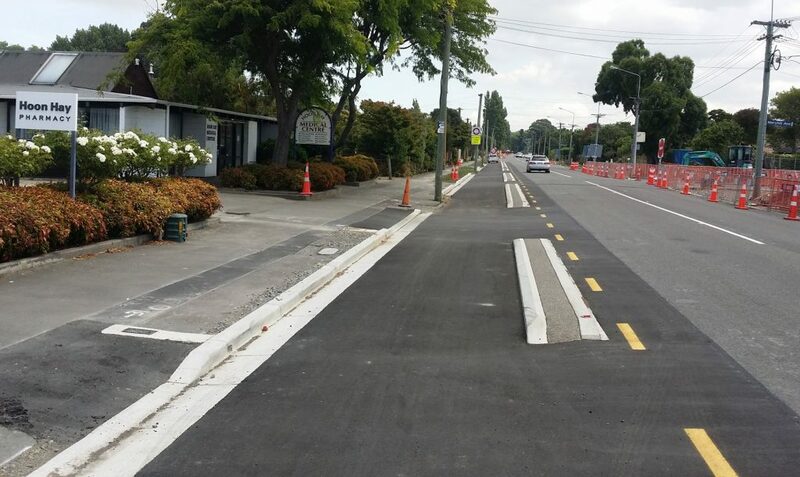 The current works will take the cycleway as far as Victors Rd; nearly 5km. A lot of it will be fairly usable by the end of March, although some of the intersection works will still be completed through April and May. We’ve already seen some controversy about this route, be it car parking or property purchase, and no doubt there will be further grumbles as it takes full shape. But it will be great once it can be used fully to connect the southwest with the city in a safe manner. Have you noticed progress along the Quarryman’s Trail route yet? 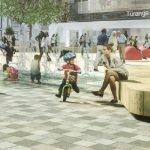 Previous Previous post: Do cycleways = extravagance?